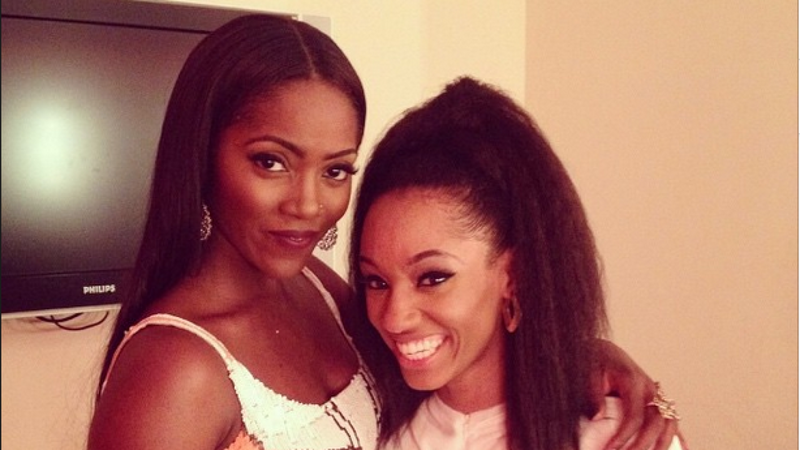 Di’Ja has given a reason as to why she is yet to record a song with her label mate Tiwa Savage. She gave a reason as to why they haven’t recorded and why they might never record a song together. Uhm, do you see how many we are? And how do you know we haven’t? I keep telling people that, it’s not all the songs that you recorded today, that you’d be release today. So depending on how long you have been working. When you started is only as irrelevant as whatever people feel that they already know about what you are doing, but then you have been working on many things, but I always say, how do you even know we haven’t collaborated yet, it’s just that the said song, you haven’t heard it yet. Then there are so many of us, and there are so many songs in Mavin right now, because we like music, and each and every one of us, bring something very different, which is why it works so well. So sometimes you see similarities some other times you see differences, and it is those differences that complements the other. So you never know what to expect until you see. Di’ja also says she doesn’t have any issue with the fact that Tiwa Savage is referred to as “First Lady” of Mavin Records. But i met her there, right? I mean, she is the first lady of Mavin records. It’s kind of funny when people want to state the obvious. Tiwa is such an inspiring person. Set aside the fact that we are even in the same record label, i mean, she has done so much and been through so much, and she still keeps this standard of performance that she does all the time, you know what i mean, you can see it. For me, it’s inspiring, and like i said, i met her there. When you go to a place and you meet someone there, it’s one of two things, it’s either you learn from them or you don’t, and so what i am doing and what would be good for me is to learn from somebody that is that strong and that can inspire me and it’s really mad cool, yeah.